Established in the year 2003, Bread & Wine became our bakery’s new home. The manner of dining here is more informal than the original St. John Restaurant in Smithfield. While breakfast and lunch are available all week round, supper is served only between Monday and Saturday. Our cuisine celebrates all indigenous, seasonal ingredients, with the menu changing gradually as the day unravels. In addition to 3-course meals, several other dishes are available for diners. You can buy from our bakery a number of take-home goods, while wines by the bottle or case are also sold from our lists with some delivery also provided. Bread & Wine has received a number of accolades, with the Evening Standard ranking it the Best British Restaurant while The Observer Food Monthly voted it the best value restaurant. Ever dreamed of being the next Banksy or alternatively you just want to know how a piece of spray-can art is created? Then you need to join our procession for a street art-tour and workshop in the safest, most relaxed and fun environment! Join our professional street artist escorts on the next street-art walking tour of East London. You will be able to see some of the planet’s finest street-art by Banksy, Shepherd Fairy, ROA, Jimmy C, Stik, Invader, etc. After your refreshment break, you can then proceed to try what you have learnt at the Alternative London workshop! Whether you are an artistic guru or a novice, you are much welcome because with the Alternative London crew, you will learn all the skills you can use to create your own take-home art masterpiece! Do you want to experience a rediscovering of the richness and aroma of the traditional English kitchen? Then the English Restaurant is the place to be! It is a hidden gem of simple integrity where diners enjoy the freshness of all kinds of delicious meals. No meal is ever ready-made but all are always prepared on order from only fresh ingredients. With more than 10 years of providing exemplarily quintessential British cuisine, the restaurant is owned by Peter and Kay Sinden. It has evolved from what was known as The Market Coffee House to the high class restaurant it is today. With a history of more than 2,000 years, the docks at the Museum of London Docklands are like no other scenery in East London. You will discover themed galleries that carry different stories about sailors, pirates as well as slavery. What’s more, Wapping High Street’s life-sized recreation spectacularly stands as it would have been during the era of Jack the Ripper more than 200 years ago. This is a gastro pub whose large variety of continental beers is extremely famous with fun-lovers. Enjoy yourself in an environment of dark wooden floors, colourful candles and a spacious dining room. Home to Britain’s national collection of various childhood objects, some of V&A Museum of Childhood’s items date from the 1600s. With a large variety of dolls, toys and games, all childhood aspects are represented; play, home, clothing, childcare, learning, etc. Artefacts include rare, hand-crafted items, as well as favourite toys from the 20th century. This gives visitors an insight into how children’s life, behaviour, feelings and thoughts have been evolving over the years. Moreover, the museum also organises a number of temporary displays and exhibitions; various workshops, events and activities; an award-winning school programme; as well as other outreach projects. 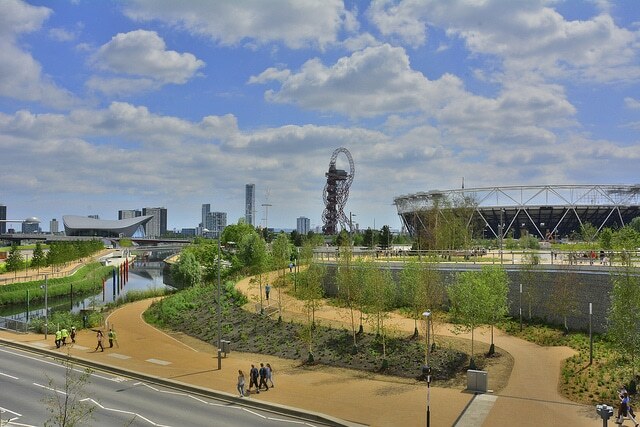 Reopened in April 2014, some of the facilities that the Queen Elizabeth Olympic Park takes pride in include international-standard sports amenities, attractive waterways and parklands, as well as breathtaking views atop the ArcelorMittal Orbit. Enjoy swims at the London Aquatics Centre and cycling sessions at the Lee Valley VeloPark. Gym workouts at the Copper Box Arena as well as a hockey or tennis game at the Lee Valley Hockey & Tennis Centre is something you also love. 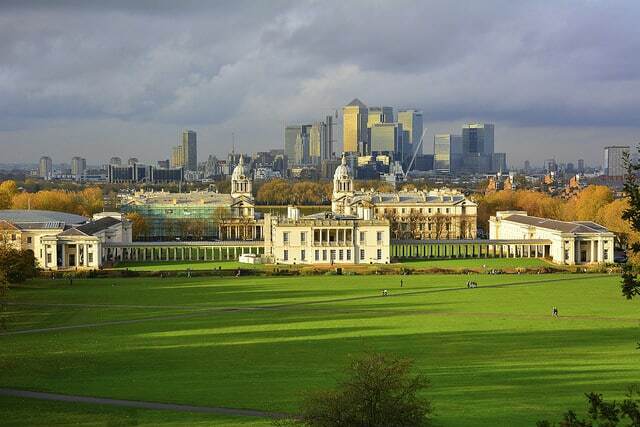 Get to know more about East London’s history — as well as London 2012 — by boat-touring the area or by being part of a guided walking tour. Timber Lodge Café and the Tumbling Bay Playground; spectacular and interactive water fountains; as well as tree-lined promenades are other aspects of the park that will complete your holiday and fun. Brick Lane is very popular for its ethnic delicacies, fabulous shopping and busy markets. Beigel Bake, a very renowned eatery in Brick Lane, is famed for its pickled gherkin, salt beef, smoked salmon, mustard beigel and cream cheese version. With its low-key exterior and simple interior, the café’s delicacies come as a pleasant surprise to visitors. Renowned as the world’s first pop-up marketplace, BOXPARK shopping mall is constructed from shipping containers, creating a unique collection of “box-shops”. Its distinctive mix of global fashion accessories; arts & lifestyle brands; as well as galleries & a café, attract people from across the world. Situated in the trendy location of Hoxton, this restaurant fits all the descriptions of an authentic American BBQ eatery. It serves ribs, steak, burgers and ice cream sundaes. This riverside Bar and Restaurant is would-renowned for its Forman’s smoked salmon, as well as various seasonal British delicacies. While here, enjoy the best view of the Olympic Stadium, as well as a viewing gallery of the smokery. Dubbed as “East London’s newest destination for lifestyle enthusiasts”, this shopping mall boasts of 250 shops and 70 dining places, ranking #1 in Europe. Visit Vue Cinema, an extremely innovative and all-digital cinema that is among the largest and most world-class leisure amenities in Europe that boasts of 17 screens. Experience luxurious bowling at the All Star Lanes, and finish off at the new Aspers Casino. Artist Denis Severs’ former house gives you a feeling of the atmosphere of a 18th-century family home. With various left-behinds and a fresh smell of food, this is an environment you will enjoy. Located in the Shoreditch neighbourhood, this cocktails bar, cantina and club offers an ambient global view. Its culture and flavours are Latino-inspired but incorporating deliciously fresh cocktails and drinks that from every part of the world. Mark Hix’s menu of seasonal sharing starters, coupled with chicken or steak thereafter is simple but elegant, allowing up to 36 guests. enjoy a mezzanine-floor private dining. Damien Hirst’s artwork of a cow and a cockerel is something you will love. Both bar snacks and cocktails are also available at Mini-Marks bar. 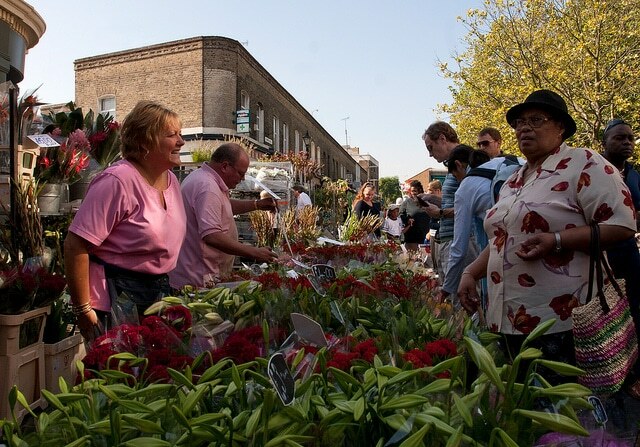 This flower market is quintessentially East London, famous for its independent-boutiques-lined road as well as the market traders’ cockney banter that describes the outside of the street. For the best British cuisine in the most unpretentiously relaxed environments since 2007 Walthamstow Village’s Eat 17 — the origin of bacon jam — is the place to be. Bread is available at the Eat 17 bakery while meat is sourced from the East London Sausage Company just across the road. At £35/person onwards, enjoy white water rafting. More information can be found at the rafting page of their website. Be sure to look out for Wet & Wild Weekdays and Fast & Furious Fridays! London 2012’s Canoe Slalom events were held here. You can choose to enjoy Hydrospeeding, Go Canoeing or Hot dog sessions. Europe’s biggest arts centre is also a base for London Symphony Orchestra and comprises of a concert hall, 3 cinemas, 2 theatres, 2 art galleries, a library, 5 conference rooms, 2 trade exhibition halls, foyers, shops and a conservatory.